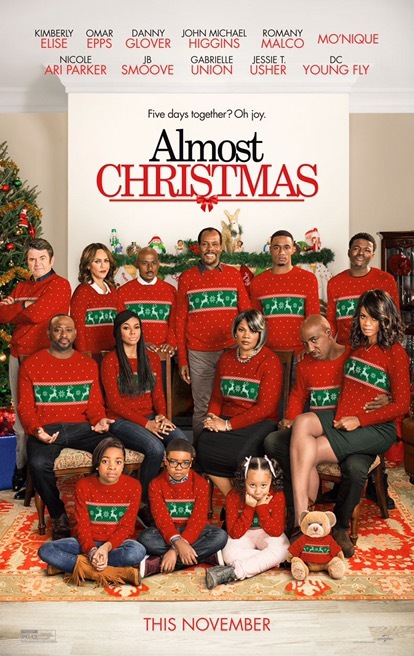 Atlanta: Sign up for passes to see Almost Christmas on Thursday, October 27, 2016 at 7PM. Please click here to sign up for passes and more information. Synopsis: A new comedy from writer/director David E. Talbert (Baggage Claim) and producer Will Packer (Ride Along, Think Like a Man series, This Christmas), Almost Christmas tells the festive story of a beloved patriarch who asks his family for one gift this holiday season: to get along. If they can honor that wish and spend five days under the same roof without killing one another, it will be a Christmas miracle. This film releases on Friday, November 11th.